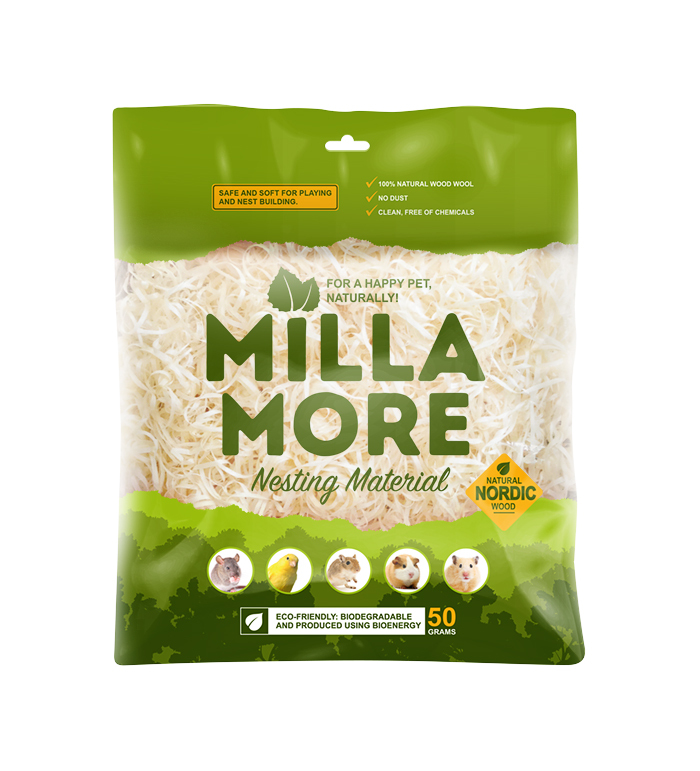 MILLAMORE Nesting Material is wood wool made from aspen. It is soft and dust-free and perfect for small animals and birds for nest-building, shelter and thermoregulatory control during resting and sleeping. It diversifies the cage environment, reduces stress and improves animal welfare. We recommend cleaning the cage and replacing the nesting material regularly. Store in a dry place. Waste is biodegradable and compostable.